Today is the birthday of my niece Jeni. Since I'm thinking of her today, I'm posting a copy of her obituary. In a few words it captures her life story, gives her birth and death dates and places, and her family members. It is definitely worth searching out obituaries to write a family history story. Jennifer Whitney Goodman passed away peacefully in her home January 23, 2014, at the age of 37. She finally succumbed to breast cancer that attacked her the third time. She was born December 8, 1976 in Las Vegas, NV. to Clark and Susan Whitney of Henderson, Nevada, the second oldest of six children, Jennifer spent her life serving those around her and finding joy in the simple things in life. She graduated from Brigham Young University in 1998, where she met her beloved husband Rex Goodman whom she married in the Oakland California LDS Temple on August 18, 1998. Jeni loved spending time with her family and friends. Some of her fondest memories were of Whitney family reunions with her extended family. Jennifer battled breast cancer on three separate occasions and also overcame a serious back injury as a teenager. She had great empathy for people. She grew up in Henderson, Nevada, and later lived in Provo, Utah (BYU), Sacramento, California, Carson City and Dayton, Nevada, and finally in Bountiful. She was a devoted mother to her three children and was a faithful member of the LDS church in which she served in many callings in the Primary, Young Women, and Relief Society organizations.She loved the children and the young women that she served and could normally be found preparing a lesson or making plans for an upcoming activity. She is survived by her husband Rex Goodman; three children, Lucy, Cole and Cecelia Goodman; parents Clark and Susan Whitney; siblings Eddie Whitney (Barbara), Angela Davis (Anthony), Nick Whitney, Holly Schilling (John), Luke Whitney (Jenniphfer); in-laws Grant and Judy Goodman; as well as numerous brother- and sister-in-laws, aunts, uncles, nieces, nephews, and cousins. Services will be held at 10:00 am Monday Jan. 27, 2014, at the LDS Val Verda 9th Ward Chapel, 3317 South 800 West, Bountiful, Utah. Viewings will be held on Sunday, Jan. 26, 2014 at Russon Brothers Mortuary, 295 N. Main Street, Bountiful, Utah from 6:00-8:00 pm, and on Monday from 9:00 to 9:45 am at the church prior to the funeral. Interment to follow at Bountiful City Cemetery. 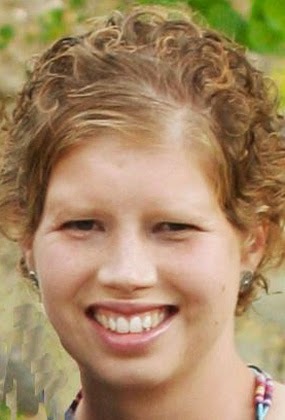 In lieu of flowers, please consider making a donation in her name to the Camp Kesem BYU (http://campkesem.org/byu).